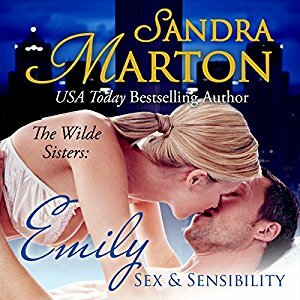 Emily Wilde has led a privileged life. Now she’s trying to make it on her own in Manhattan. Marco Santini grew up dirt poor in a Sicilian slum. Now he has everything. He’s gorgeous. He’s rich. He’s powerful. And he has all the beautiful women a man could ask for. Then, one rainy night, he sees a woman standing alone on a deserted New York street corner. Emily is clearly in need of help, but she’s not foolish enough to step into Marco’s chauffeured Mercedes. It takes a lot of convincing before she lets him take her to her apartment. He swears he’s not going to do anything he shouldn’t and he means it–but she’s in his arms before they can stop themselves. Still, it’s only a kiss, just one kiss in a moment torn out of time. That’s what they both think. But Fate has other plans, starting with an unexpected job offer and a business trip to Paris that explodes in a passion so hot it will change everything–everything but the web of lies that traps them both.